A complete program offering Summer Camp, VPK and After School Care. We know your child is the most important gift you've ever been blessed with. Looking for the best care for your child can be a challenge, and finding the right environment is one of the most important decisions you will ever make. At ABC Learning Center, we’re passionate about bringing the highest quality early childhood education and care to our children and their families. Our preschools combine learning experiences and structured play in a fun, safe and nurturing environment Our classrooms are well-appointed with appropriate learning centers and stimulating toys. We make children feel comfortable and confident. Learning, after all, should be fun and exciting! Preschool is the first introduction to a lifetime of learning, a journey that should start off on the right foot. We want to thank you again for your interest in our program. We hope you will find the information throughout our website informative and useful in making the best decision for your child and family. 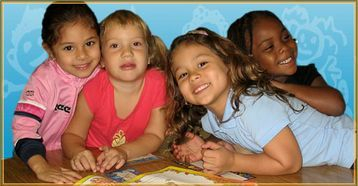 *ABC Learning Center is a Bilingual Preschool Serving the Miami Shores, North Miami Beach and the Aventura area.